Swimmer Louise Beckerle Rourke is a Polio Survivor. Louise contracted polio at 6 months of age, paralyzing her right leg. She attended elementary school in Queensbury and enjoyed all the activities a young girl might. Louise benefited from early rehabilitation and many surgeries at Sunnyview Hospital in Schenectady and at New York University medical Center Hospital in NYC. This enabled her to learn to walk with a leg brace. Swimming Lake George is a dream come true for Louise. Bridget has been an open water swimmer since 1999. 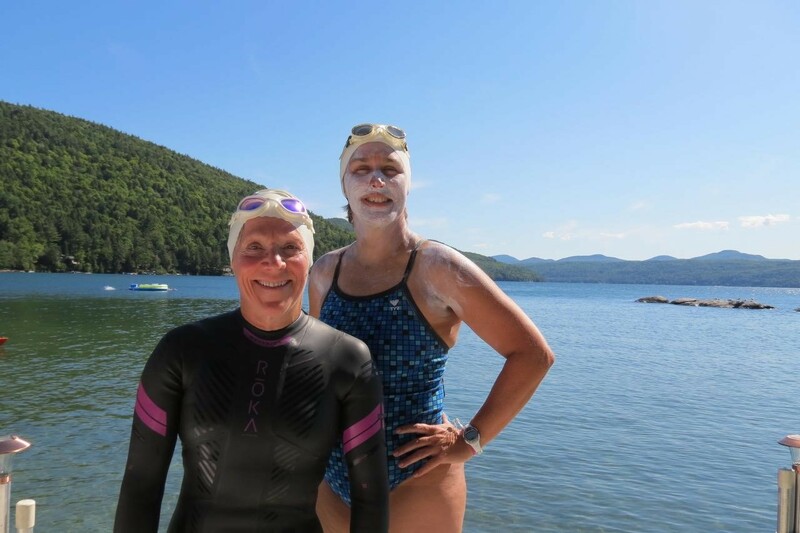 She has participated in swims in Lake Champlain, the Chesapeake Bay, the Potomac River, St. Croix and the Hudson River and supported many causes. Through teaching swimming, coaching and leading group fitness classes, Bridget has encouraged and been inspired by swimmers of all ages and skill levels for 28 years, and she has many more goals in mind. For more details, click here http://bit.ly/SwimToEndPolio.